TAHIT celebrates its 13th Anniversary Symposium in Houston in 2019! 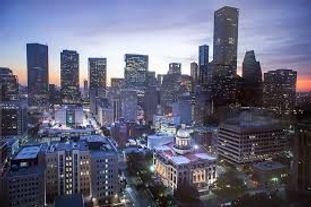 Whether it is visiting the Galleria, spending a relaxing evening by the host hotel pool, or taking in a game of one of the city's professional sports teams, Houston is always favorite destination with language access professionals! Texans and language professionals from across the country and abroad have come to rely on TAHIT to create an annual event that does not disappoint! It is the premiere event for CEUs, networking, learning, great food, and great friends. We do all this, while keeping our symposium the most affordable and highest quality in the nation, in our humble Texas opinion! This year we raise the bar once again. VENUE - Our venue with be the DoubleTree by Hilton Houston - Hobby Airport. Room rates are an excellent value at $189 $109 per night. That is a 42% discount for our event! Hotel reservations at the group rate can be made until August 29th, or until the group block is sold out, whichever comes first. So book early! Want to bring the family and stay an extra couple days? The rate is available for check-ins as early as Wednesday, September 11th and check-outs as late as Sunday, September 15th. PARKING - Self-parking is free at the host hotel for all attendees! AIRPORT - The preferred airport for the symposium is the William Hobby Houston Airport (HOU). The symposium will be held at the nearby DoubleTree by Hilton Houston Hobby Airport, with a free shuttle. Please note that the Bush Intercontinental Airport is approximately 30 miles away from the venue. Most major domestic airlines have flights to Houston Hobby, including Southwest. GROUND TRANSPORTATION - The host hotel offers free shuttle service to and from the Houston Hobby Airport (HOU). EARLY BIRD REGISTRATION - The early bird registration rate is $195 for members and $215 for non-members. Early bird registration will end July 30th, 2019. REGISTRATION - The standard registration rate will be $210 for members and $230 for non-members. Standard registration deadline is September 6th, 2019. LATE REGISTRATION/AT-THE-DOOR REGISTRATION - Don't worry if it slips your mind to register on time. You can still attend the event by registering after the deadline. Late registration after September 6th will be $265 for both members and non-members. You can complete late registration online or at the door. PRESENTERS - More than 25 presentations over two days. Presenters are recognized trainers and Subject Matter Experts from around the world! TEXAS STAR NOMINATIONS - Nominations for individuals and organizations for the Texas Star in Language Access Award are now open and can be submitted online. The reception for our award recipients will take place on the evening of September 13th.